During this season we will not be offering a free walking tour. Going north of Varna only 17 km away from the city, you can visit one of the best preserved rock monasteries in Bulgaria, named Aladzha Monastery. Another big resort - Golden Sands is just 3 km away and the monastery is part of Golden Sands Nature Park. Nowadays, the monastery is inactive and it’s a historical and architectural monument. The space in front of the monastery is used for performances and music concerts during the summer. An audiovisual show called "Legends of Aladzha monastery" is organised in support of the application of Varna for European Capital of Culture 2019. The performance represents the cultural heritage of tribes and peoples inhabiting Varna region from ancient times. The show is worth visiting because it’s unique in the whole of Southeastern Europe. 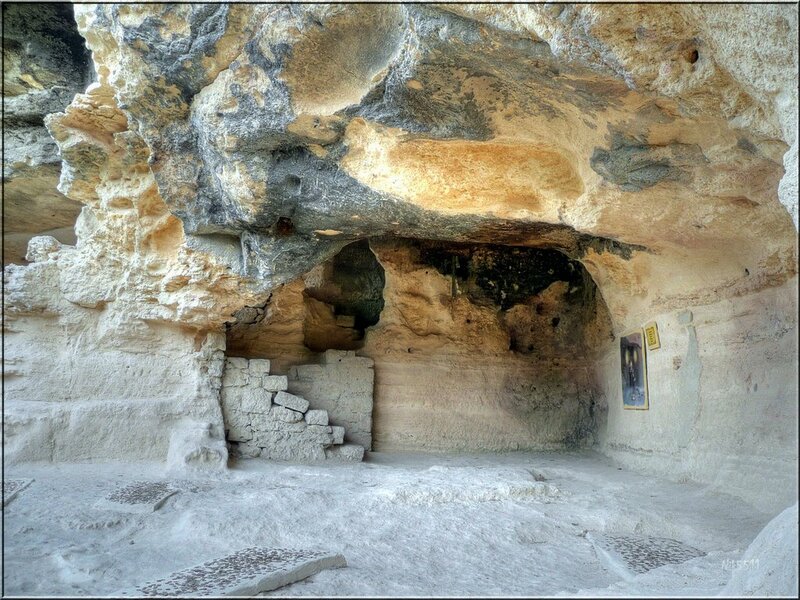 According to the archeological findings a monastery existed during the early Christian age at the same place where is Aladzha monastery nowadays. 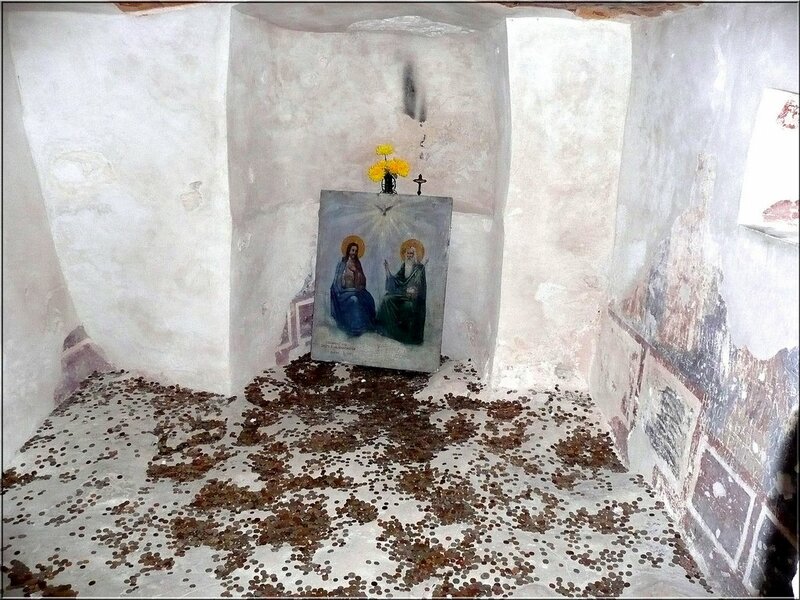 This theory is supported by the fact that the Aladzha monastery represents a symbol of the most important Christian sacraments - Nativity and Resurrection. During the 10th century it was constructed in the way we see it today.Then began the hermit movement in Bulgarian monasteries. 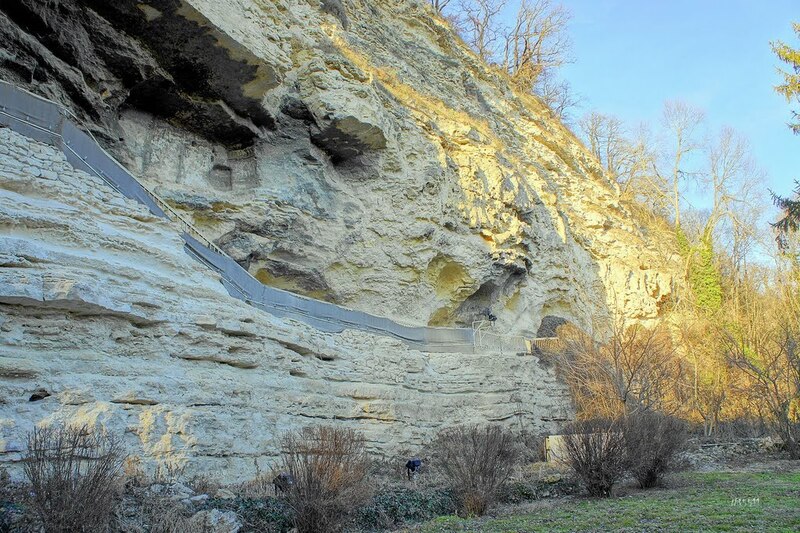 Aladzha monastery reached its blossom in 13th-14th century due to the religious movement - "Hesychasm" (a religion with a main principle of silence and of isolation from the society). Monks inhabited the monastery until Ottoman Empire started to rule over Bulgarian lands. According to the legend the monastery was called “St. Spas” at first. The popular name that remains until today “Aladzha” comes from the word of Turkish origin for colourful - "aladjha". The monastery gets it because of the beautiful and impressive frescoes from which, nowadays, only few are preserved. Nowadays Aladzha monastery functions as museum and tourist site. In 1912 it was declared a national historical monument and in 1957 - an architectural monument of national importance. Demolition and tectonic processes have changed the initial condition of the monastery. However, its origin still makes it an exceptional place that is worth visiting. Cut out on two levels in the almost 40-meter high limestone rock, that was formed 12 million years ago at the bottom of the Sarmatian Sea, Aladzha monastery will definitely captivate you. The monastery consists of a complex system of sells, churches, chapels and other premises connected like passages all in the rock. Monks’ sells, kitchen and a small church were arranged on the first level, while the second one was assigned for the chapel. The entrance of the monastery is at the most eastern side of the first floor. At the far opposite end was the crypt (tomb). Left to the entrance there is a cut in the rock staircase, leading to an inside corridor that will take you to the common rooms. A chapel could be seen right above the entrance and the crypt. It was richly decorated, but easy access to the imposing frescoes decided their fate. At present, only small fragments are preserved. The other two chapels in Aladzha Monastery are located in the end of each floor. The most preserved one is on the last level. Only in this chapel you will be able to find well-preserved murals dated back to 14th centuries. Interesting fragments of five monks’ figures are decorated on the south wall. In best condition is the composition on the ceiling, which represents one of the main themes in Christianity - Ascension. 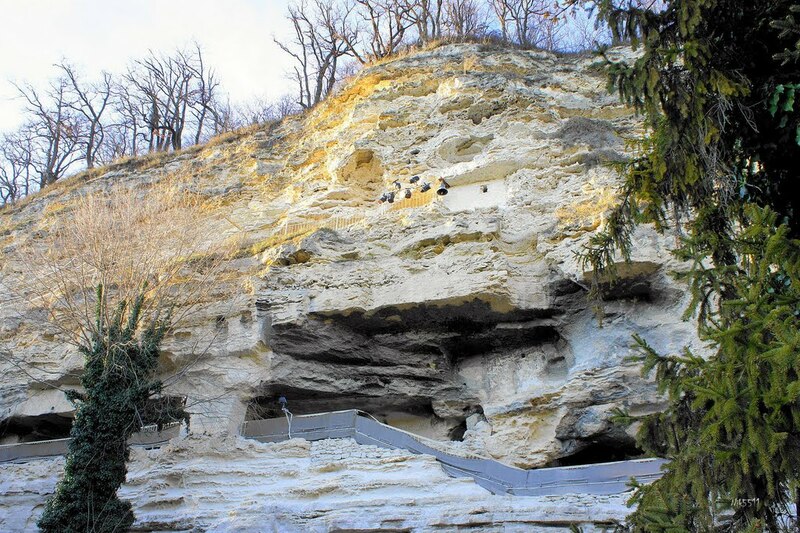 About 800 meters to the northwest is hidden another group of caves spread on three levels. 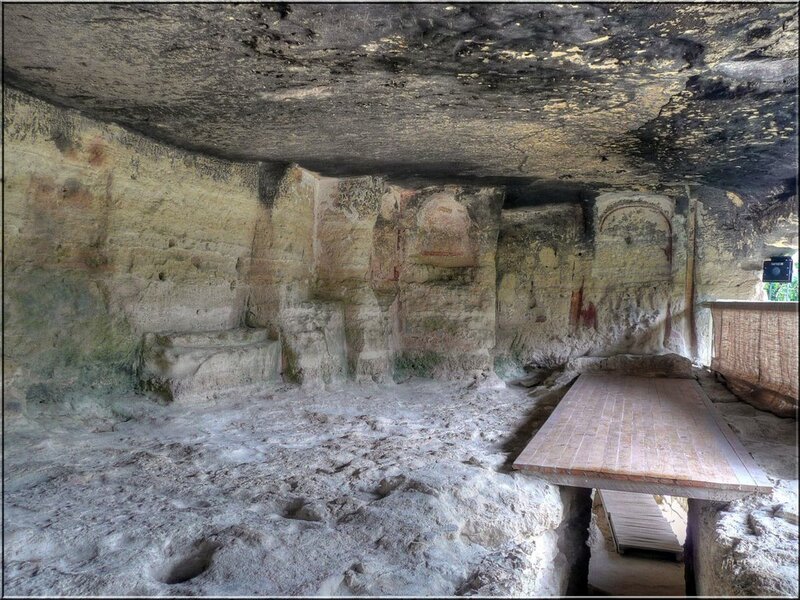 Archeologists called them the "Catacombs" by analogy with the earliest cult centers of the first Christians. Remains of pottery, coins of Emperor Justinian I (527 - 565), part of a metal censer were found there. The foundings give us reason to assume that the Catacombs were inhabited during the early Christian age between IV-VI centuries. - by car: There is a junction leading to the monastery on the road from Varna to Golden Sands Resort. There are signposts in the region. from Train Station - 7:55 a.m. and 5:40 p.m.
from Aladzha Monastery - 9:00 a.m. and 6:30 p.m.
from Aladzha Monastery - 8:45 a.m.and 6:30 p.m.
- by taxy: You can find useful information how to get by taxi in our blog post about Euxinograd.